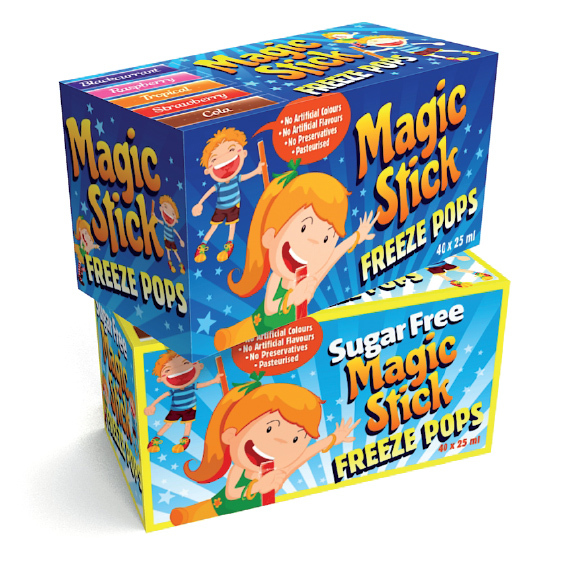 We had fun re-designing the Magic Stick freeze pops brand and packaging. 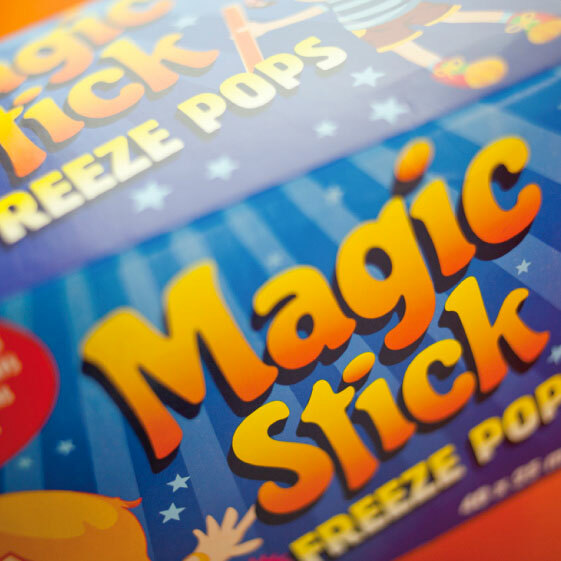 Produced by Greensleeves in Tipperary, the Magic Stick range is sold throughout Ireland and the UK. The existing brand and packaging was in need of an overhaul and consolidation. 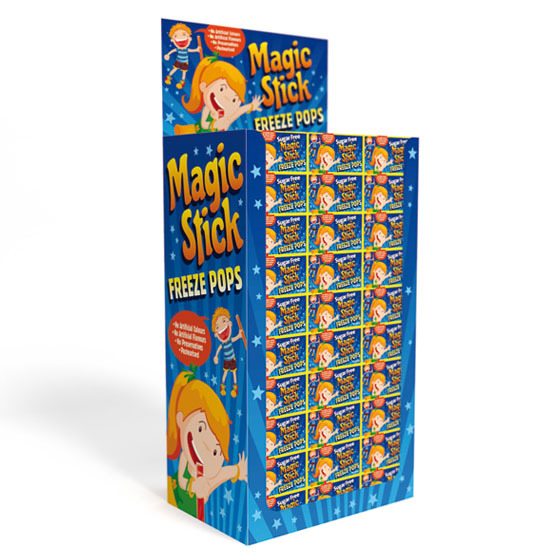 The priorities for Greensleeves were: dynamic graphics which would appeal to children; bright colours; clear differentiation of the ‘sugar free’ variant; and good communication of product benefits. 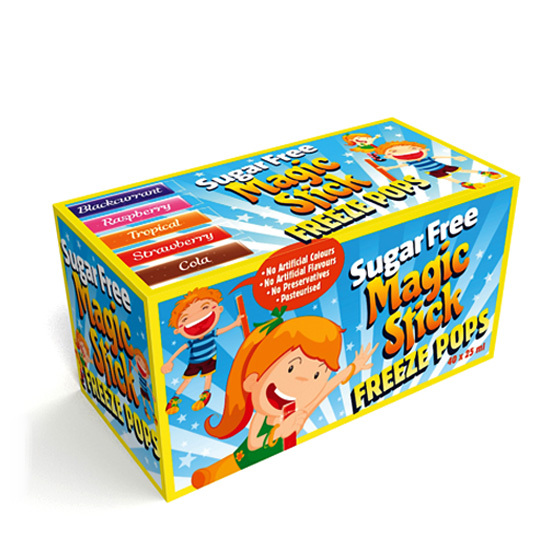 We developed a strong, friendly logo; charming illustrations; a suitably magical background effect and a simple, coherent yellow border effect to differentiate ‘sugar free’.